For over 26 years The Lawnmowers Theatre Company, a registered charity, run by and for people with learning disabilities, has been building bridges between the learning-disabled community and mainstream culture. Based in Gateshead, we offer performances, creative workshops, nightclubs, festivals, music groups, courses and social drop-in sessions. Lawnmowers were delighted to receive funding from the Ballinger Charitable Trust to develop the “Lawnmowers Youth Academy”. 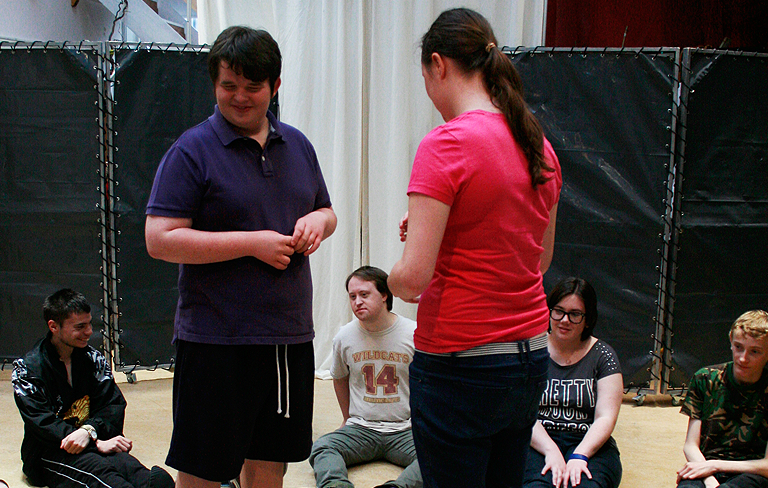 This new and exciting strand aims to provide a supportive and creative network in which young learning-disabled people can develop skills in theatre, music, dance and leadership. It will also give young people the chance to gain recognised Arts Award qualifications and the opportunity to continue into a fully functioning theatre company when they graduate. The “Lawnmowers Youth Academy” was launched in October and the response has been incredible. It now has fourteen members, some coming from as far afield as Crook in County Durham. 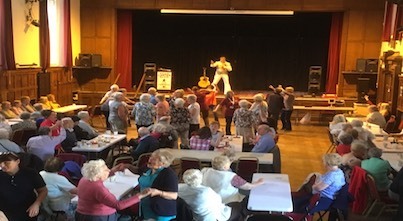 Redcar Development Trust invited the Ballinger Charitable Trust to see one of their intergenerational days. Elvis had not left the building.